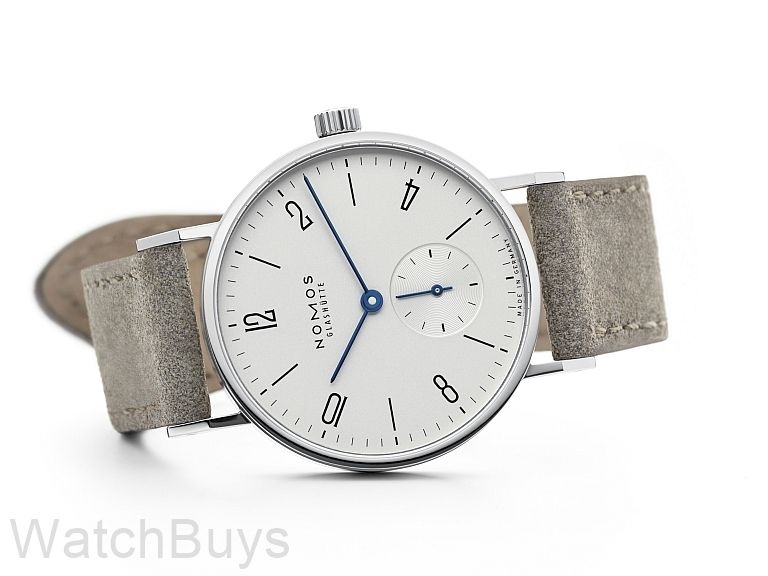 With a diameter of 33 mm and a case thickness of 6.5 mm the Nomos Tangente 33 watch was created for those with smaller wrists. Nomos is known for many good things including their straps and this watch is no different. This watch features a suede strap which has both an interesting texture and color. "My wife LOVES this watch"
Verified Owner Comments: I bought this watch for my wife after she saw it at a road show last year. She absolutely loves it and she's not normally a watch person like me. The service was great and the watch arrived on time and as promised. Now I have to figure out how to get myself that Sinn 103.